Will Schusterick at the Nick Hyde Memorial in 2017. Ninety-nine disc golfers flocked to the famed Winthrop Gold Course in Rock Hill, S.C., to compete in the prestigious United States Disc Golf Championship last October. For the first time since 2007, Will Schusterick wasn’t one of them. Back up a few months to May or June, and you would find Schusterick at a physical therapist’s office where he found out tendonitis in his rotator cuff had led to shoulder impingement, or “swimmer’s shoulder.” The injury caused other parts of his body to compensate, which affected his play. The rigorous pursuit of excellence finally caught up. Will Schusterick filming his Disc Golf Instruction series. 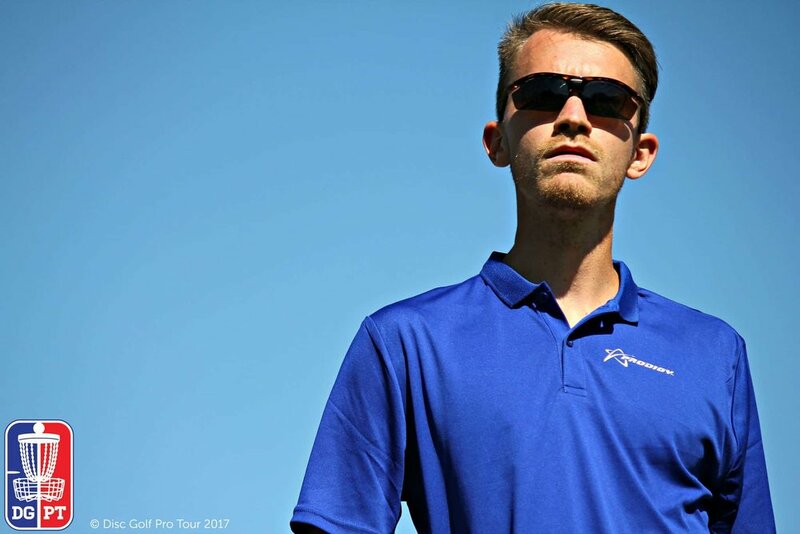 Time off the course also allowed him time to launch Disc Golf Instruction, the sport’s first subscription-based, comprehensive video series offering step-by-step tutorials for players from the beginner to professional levels. The site is set to be a centralized hub for instructional material that teaches disc golf technique in a streamlined and consistent manner. While the Advanced Series and Professional Series are in the pipeline, the site debuted with the first installment of the Beginner Series, a 23-minute video that breaks down the basics of grip, stance, body position, reach back, follow through and more. And although it’s labeled as the Beginner Series, new players aren’t the only ones who can benefit. Schusterick himself has gone back to the basics, as he begins to throw again in preparation for the upcoming season. His routine is strategically built around the strength he’s gained in the gym and making sure any bad habits from playing with an injury are gone. His methodical approach means missing the Las Vegas Challenge and Memorial Championships to start the season, but it is with another run at being among disc golf’s best in mind.